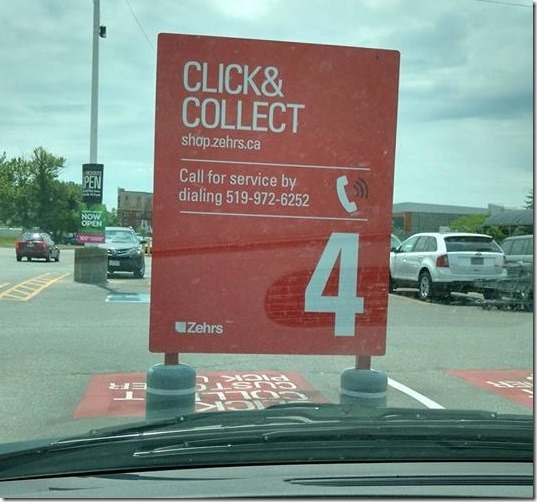 My reviewer Barb has been trying out the Loblaws Click & Collect service over the past month which enables her to shop online and simply pick up her groceries when it’s convenient for her. Disclosure: I am a P&Gmom ambassador. As part of my affiliation with this group I have been compensated to test the Loblaws Click & Collect service. The opinions on this blog are my own. Doing so has saved her time for work (she is a caregiver to a small child), Guiding and just plain resting. What once was an hour to and hour in a half shopping trip twice a month is now a 15 minute trip twice a month with the Click & Collect service saving her 150 Mommy Minutes a month! If the service is available in your area, Barb highly recommends you take advantage of it. With the Loblaws Click & Collect service you can save time by choosing your items from the comfort of your home (maybe while a child naps?) and catching the sales and special offers instead of racing through the store with kids in tow. When it’s time to pick the groceries up, you simply drive up to the special spots in the parking lot, park and call a special number. Then Click & Collect people walk the groceries out TO YOUR CAR! I mean you can’t get much better than that. To celebrate the mommy minutes Barb saved, Callista’s Ramblings is hosting a giveaway for a $100 President’s Choice Gift Card to one lucky Canadian. Other P&G has only provided me with the product that I am using as the prizes for this contest. The contest is not otherwise endorsed, designed and/or administered by or associated with P&G. By entering the following contest you are accepting that, if you win, your contact information will be shared with a P&G PR and shipping agency for the purpose of mailing your prize. Please allow 4-6 weeks from the contest closure date to receive your prize. This giveaway may appear on other blogs as part of the #PGmom/#mamanPG program. However, to be fair, you can only win once per giveaway. See full terms & conditions on rafflecopter form.